Yes, this is a custom addon that looks very similar to ElvUI and it's more customizable than any Vanilla Addon you might have seen. It doesn't just include the simple UI addon, it includes most of the UI/QoL improvement addons which combine together to make the Vanilla experience a good one. A lot better than any UI options for the Classic servers. There is a complete video Tutorial below that will show you how to setup and get a similar look. Thanks alot for your hard work!! great job! 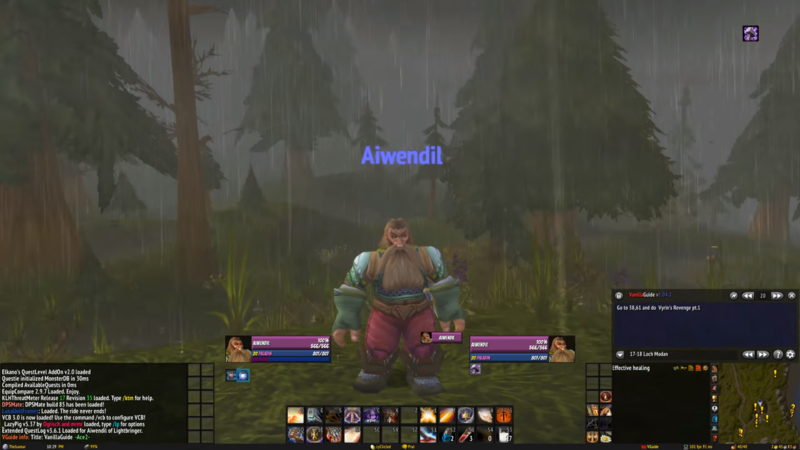 (12-13-2017, 05:56 AM)Phoen1x Wrote: Yes, this is a custom addon created by a Youtuber that looks very similar to ElvUI and it's more customizable than any Vanilla Addon you might have seen. Спасибо, мне это очень сильно помогло! (12-13-2017, 05:56 AM)Phoen1x Wrote: Yes, this is a custom addon that looks very similar to ElvUI and it's more customizable than any Vanilla Addon you might have seen. Oh man ! Thanks a lot for share it !